Where is my Render dialogue box? When preparing to render with the VR Studio, the Render dialogue box gives you the option to "Use these settings as default and don't show this dialogue again" as a V you can check. 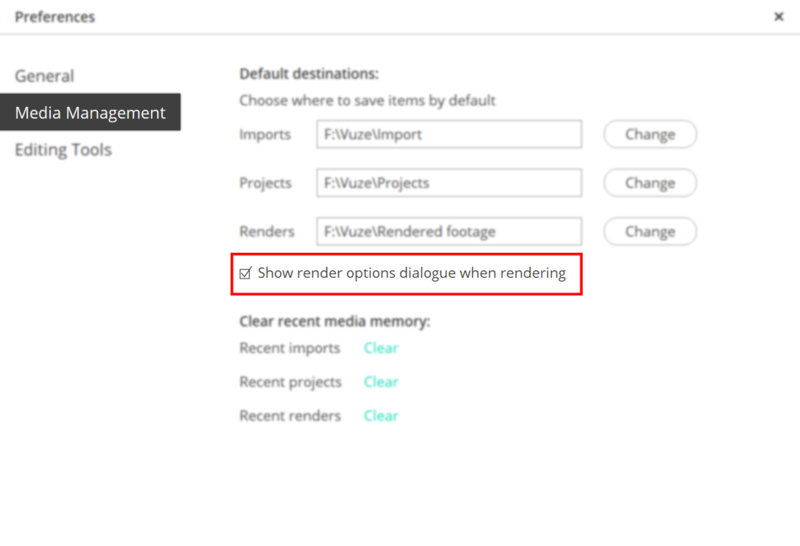 If you chose this option the Render dialogue box will not appear the next time you render but if you wish to bring up again you can. To bring it back again go to File > Preferences... then navigate according to the image below. The Render dialogue box should appear the next time you press the "Render" button.